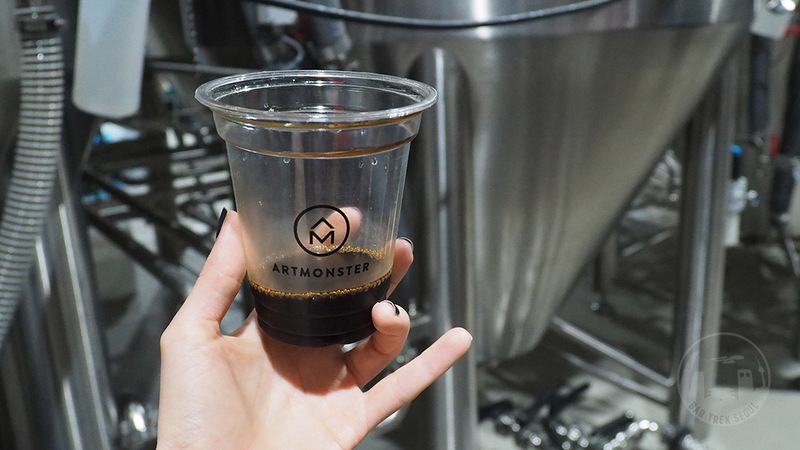 Between Gunpo and Gumjeong, two stations far south on line 1, Art Monster has their main brewing facilities. 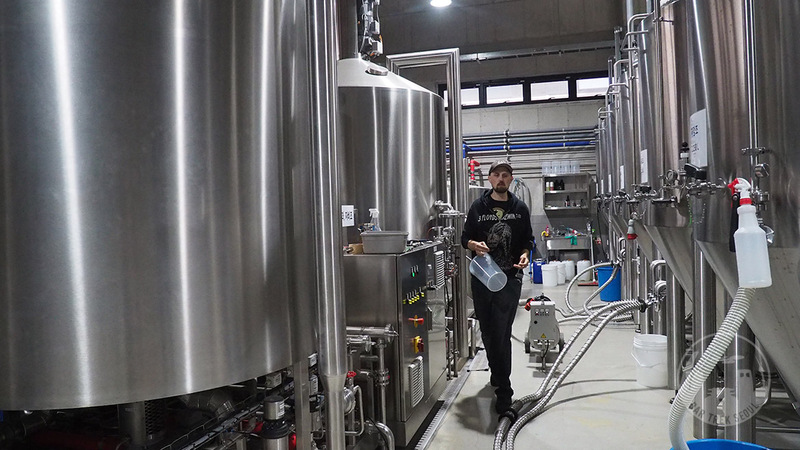 Lucky as we are, brewmaster Jason Kusowski invited us to check out the brewery, talk about brewing in Korea and taste some of their upcoming beers. German precision across the board. 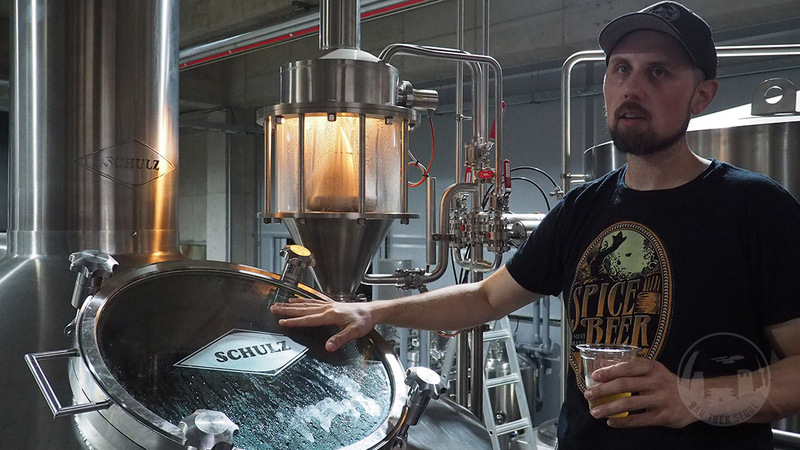 Brewmaster Jason shows us around. 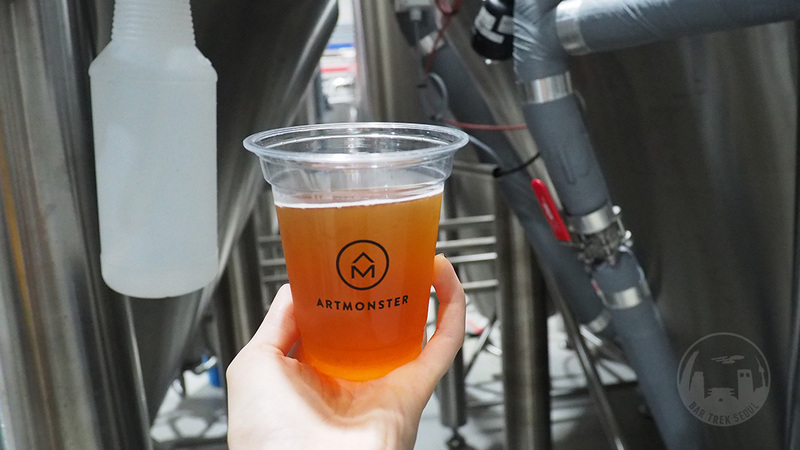 Jason introduced us to Art Monster’s operation, including their history, beer philosophy, challenges and their state of the art German brewing equipment. 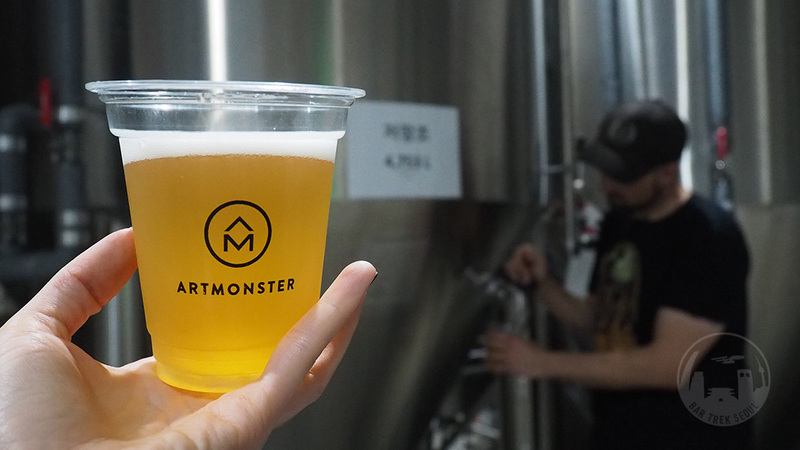 We’ve visited two of their brewpubs in Seoul, and noted that their menu is proudly detailed in describing the specific styles and ingredients of their beers, and here we got to see the rest of the story. 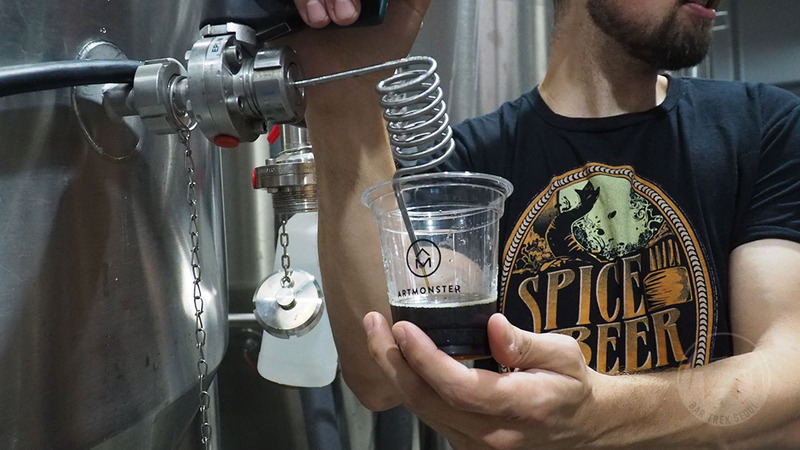 Jason, who is originally from the US, could tell us about how he works to create well-balanced beers with wildly different styles and flavors. 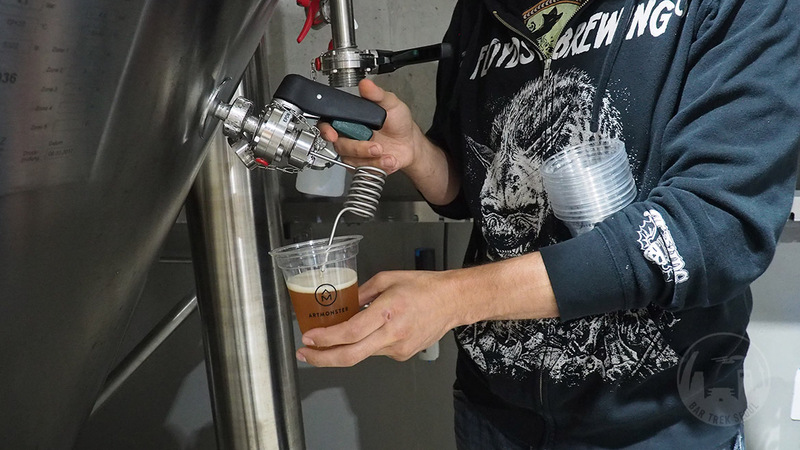 Their Grapefruit Pale Ale straight from the tank. 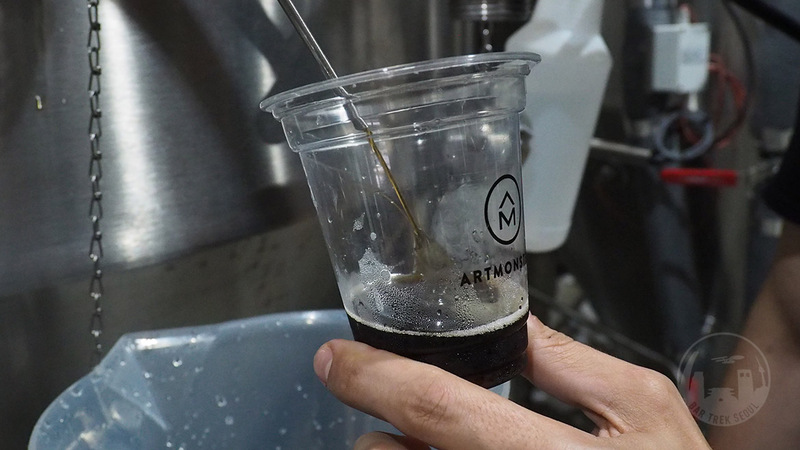 Aside from the obvious meticulous control of the ingredients and clean brewing process, the secret to good beer lies not only in knowledge of the history and chemical mechanics behind the recipes, but also in personal taste and genuine passion for the craft. 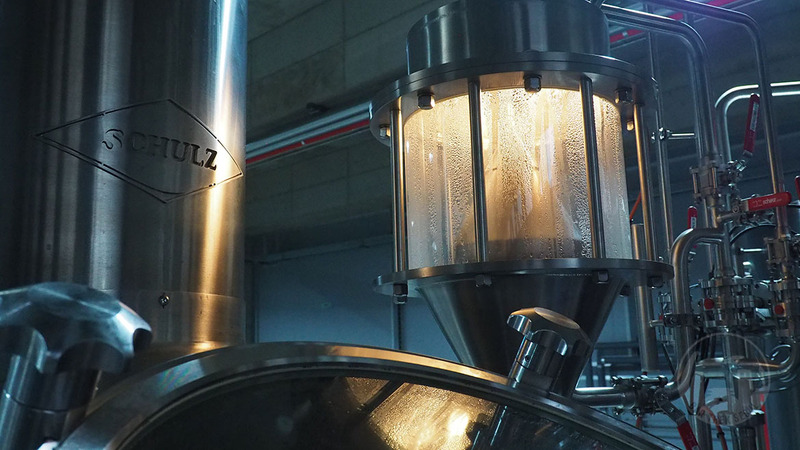 Beer has a long and diverse history that makes categorizing a fuzzy thing. 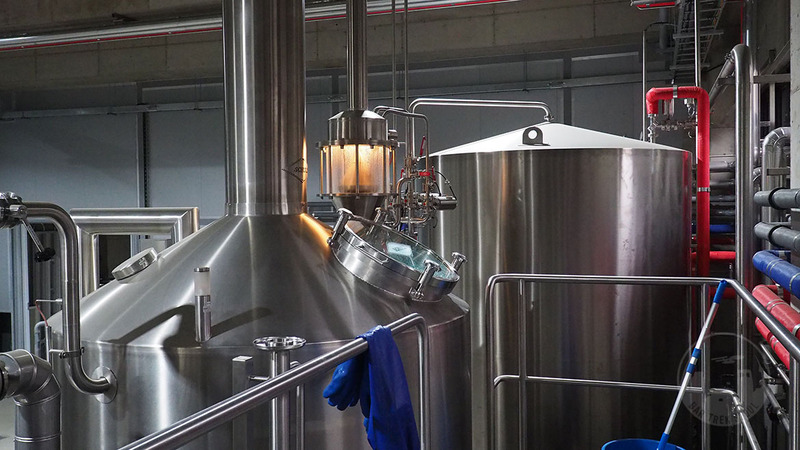 Just look at some typical style names like Pale Ale, American Pale Ale, India Pale Ale and New England India Pale Ale, and imagine all the variation that can be found in each category. 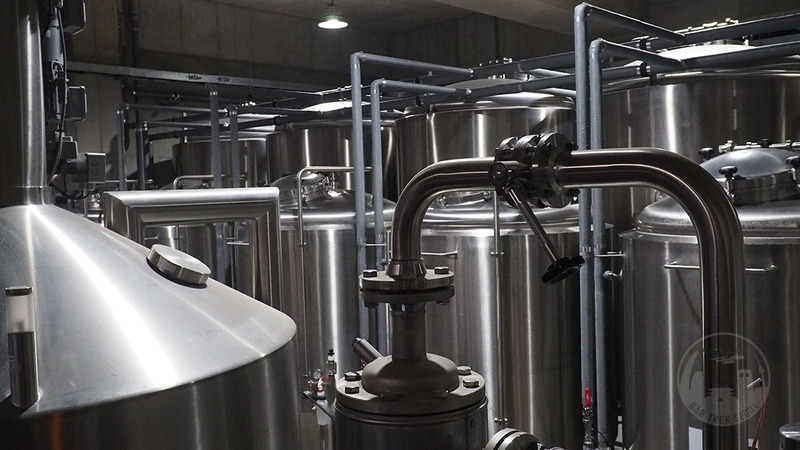 Add to that the unique factors of the country and market you are in, which may have a long or short, homogenous or diverse beer history. 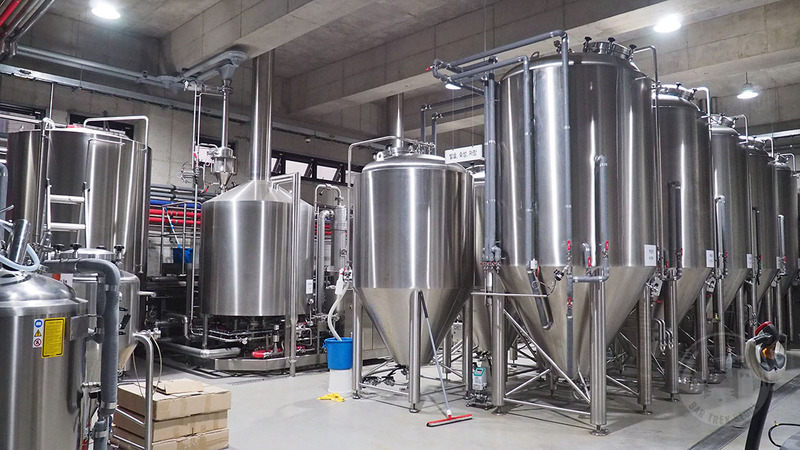 The Korean craft beer market is still at a relatively early stage, not just in the general knowledge and taste of the consumers, but also in the legislation and infrastructure. 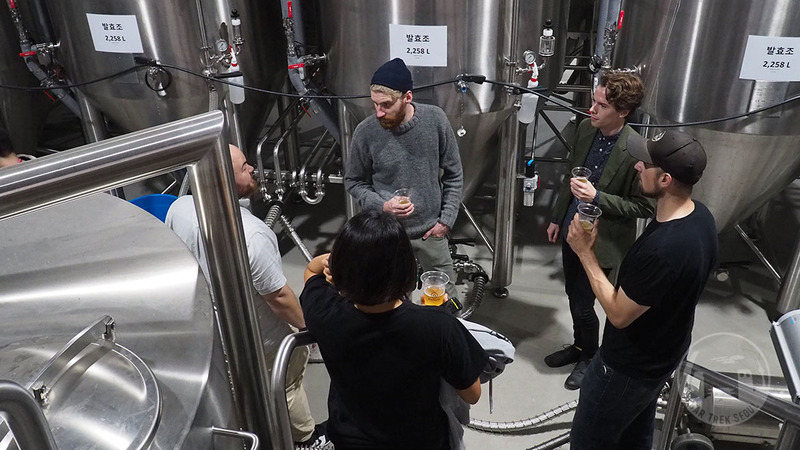 Luckily the Korean market is growing fast, with more and more premium beers being made in the country and enjoyed by a growing audience. 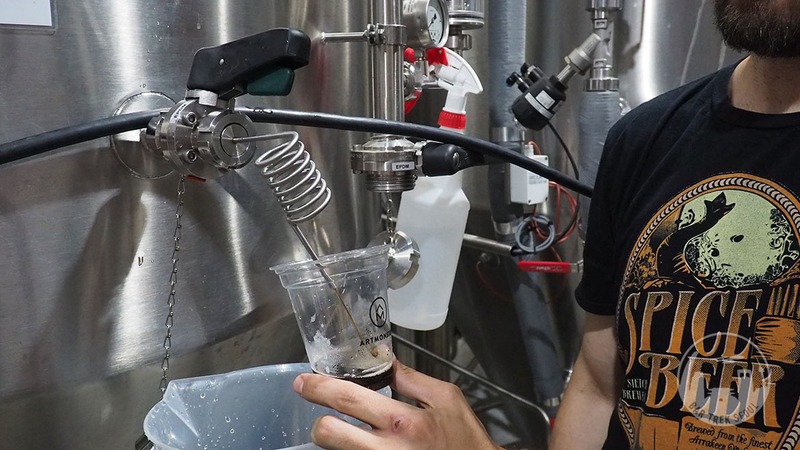 Taking all these factors into account, even disregarding them if that is better, Jason composes recipes and brews beers that are enjoyable for many palates, well-balanced and an inviting first step into the world of craft beer. Or a giant leap forward. 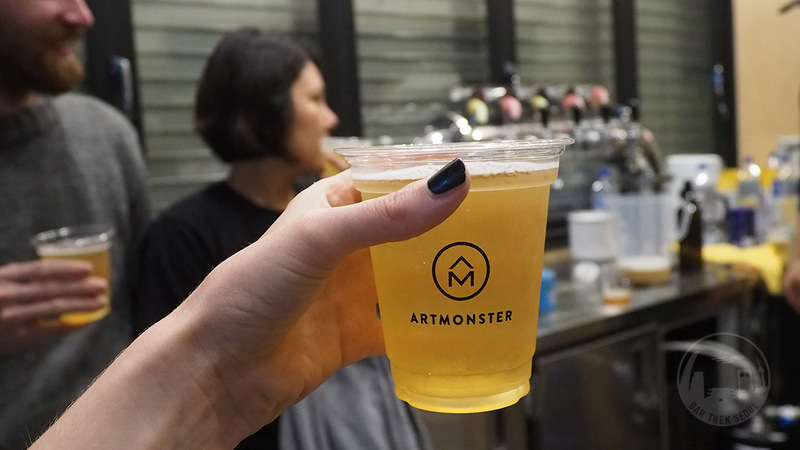 Whether the beers are small steps or giant leaps, the Art Monster beers are found in more and more venues across Seoul and even garnering recognition abroad. 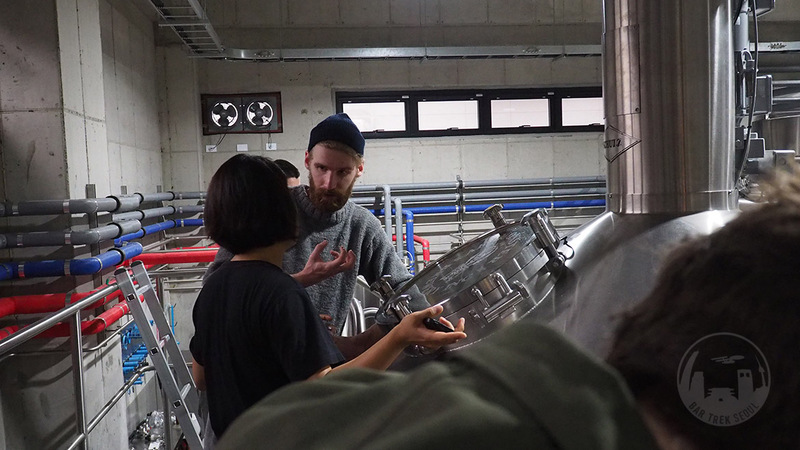 This year they took home 5 golds, 1 silver and 1 bronze from the Asia International Beer Competition, including being named the South Korea Brewery of the Year, as well as three medals in the International Beer Cup 2018 in Japan. 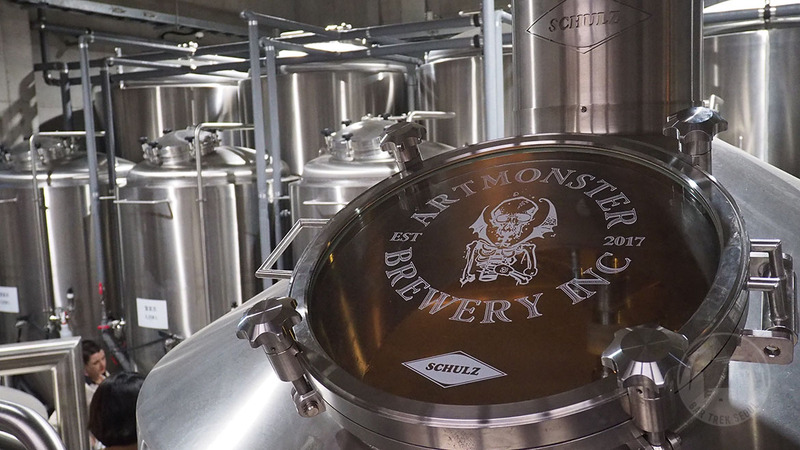 The award winning beers are proudly served at Art Monster’s own venues. 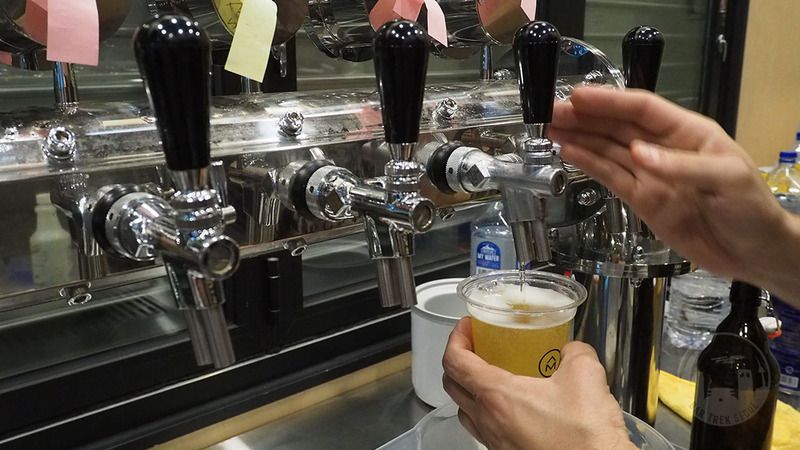 Working our way through the facilities, we get to sample the current line-up of beers as well as trying some of the upcoming ones. 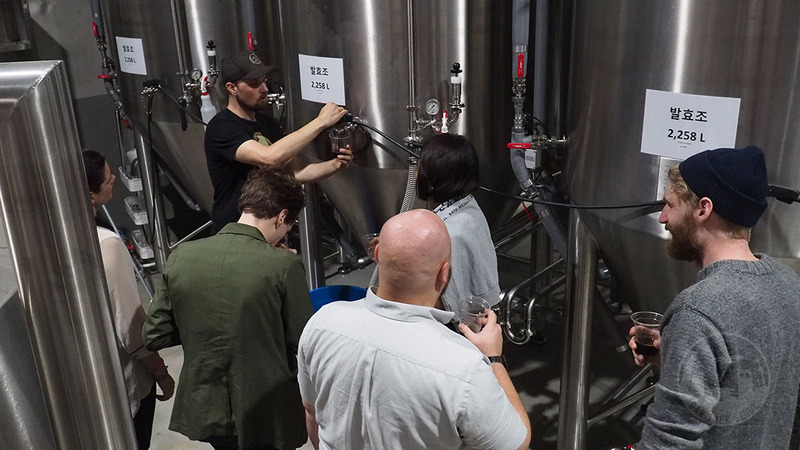 It just doesn’t get better than getting fresh beer straight from the tank, which makes it a little easier to follow the brewmaster’s highly detailed and intricate explanations of each beer, including humorous anecdotes and short rants. 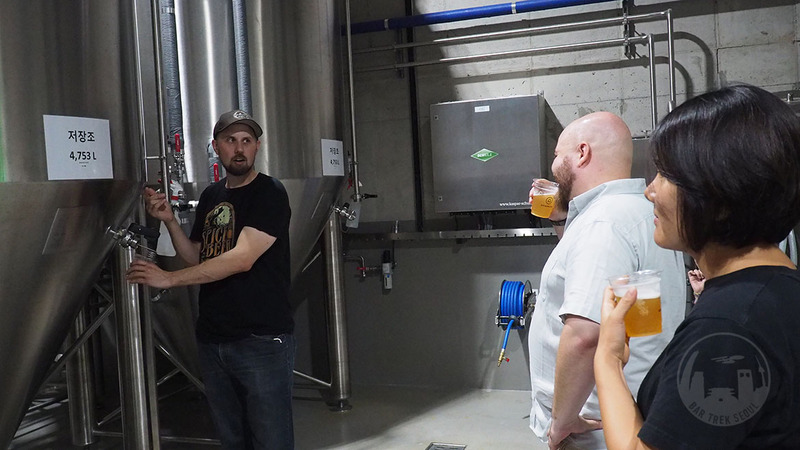 It is always great to hear an artisan talk about their craft, and Jason’s tour around the brewery was informative, entertaining and of course delicious. 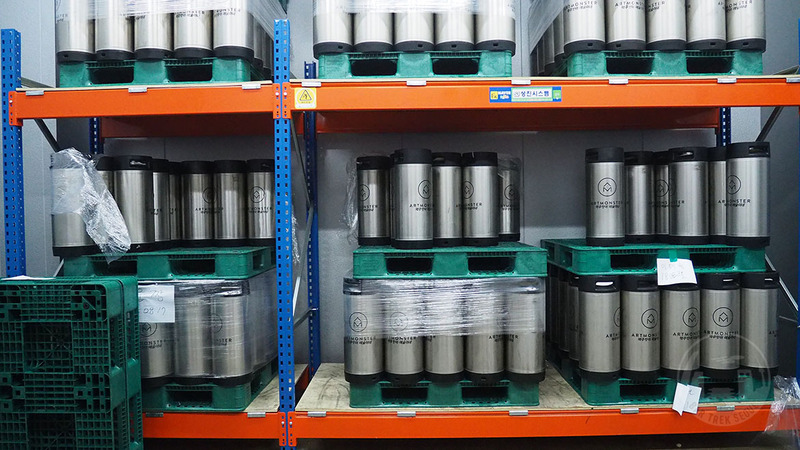 Pilsner fresh from the keg. 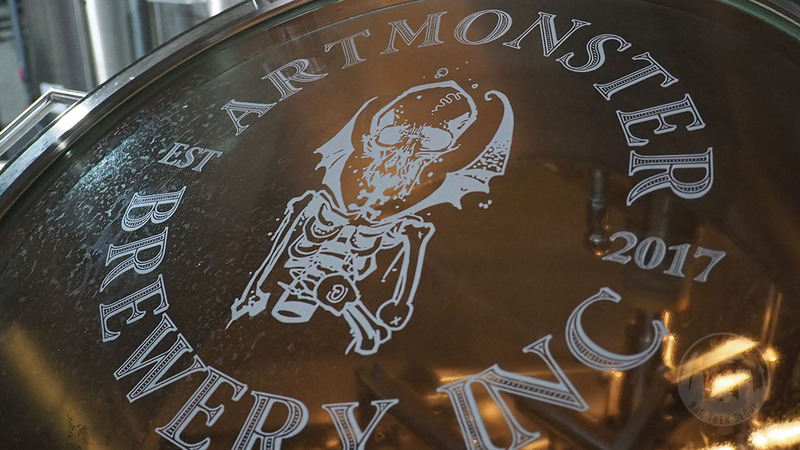 Expect some new good stuff from Art Monster. 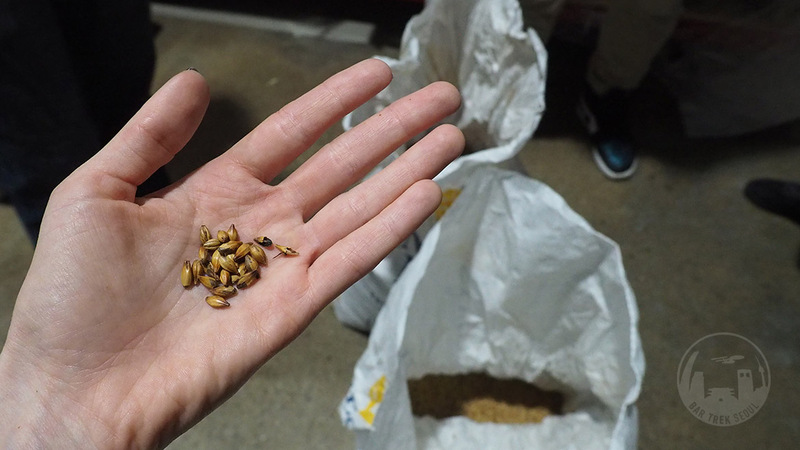 Finishing off with a wit.